This review contains spoilers – continue at your own risk! I hadn’t realized I was a fan of the Alien franchise until a few weeks ago when I recalled watching the 3rd and 4th movie maaaaaany times as a youth. I even went to see the 1st Aliens vs. Predator in the theater when it came out (what is WRONG WITH ME?!?!). 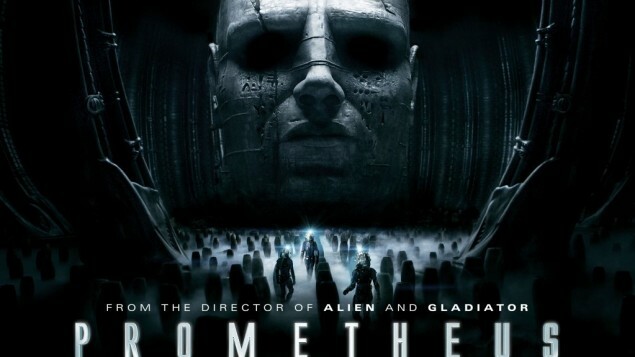 The build up for Prometheus distantly intrigued me, but it didn’t really hit home until some time last week. I tracked down the 1st & 2nd Alien movies and watched them (with a hesitantly intrigued husband). I’m glad I did, because it sort of put things in perspective for me, going into seeing Prometheus. Archaeologists discover corresponding star maps in various locations across Earth, and they convince multi-millionaire Peter Weyland to fund an expedition to what they believe is the destination its referring to. The crew is a rag-tag group of scientists and explorers (something of a staple in the Alien franchise), and when they reach the distant moon they immediately begin exploring. What they find stuns and excites them. There are traces of the race they were hoping to find, what they call “The Engineers.” They’ve left behind traces of themselves, enough so that the explorers are able to conduct tests. When things turn wonky, they realize their ancestors may have created them, but also had intention to destroy them as well. If you go into this film hoping to see aliens, facehuggers, or chestbursters you’re in for a serious disappointment. Well..sorta. Ridley Scott has been quoted as saying the film shares “strands of Aliens DNA so to speak.” He means that literally, that cheeky-monkey. We basically get the prehistoric background of where and how our race came about, as well as the creatures that eventually come to be called xenomorphs, i.e. the aliens. We see several different results of the primordial ooze made by our ancestors, a product they intended to use as a weapon to wipe us out. What we don’t get is an outright answer to the “why”. If Prometheus is a pebble then the other Alien films are the ripples in the pond. Now, I’m a huge history nerd so I really dug this film. I thought it was intriguing, and I didn’t mind the openendedness of it. It’s a philosophical film, though it doesn’t lack for action either. I was expecting it to be super gory but it wasn’t. In fact, the scene that bothered me the most involved a self-surgery to remove a…growth…from a character’s own abdomen. It was gritty and quick, and I was wincing. The visual effects were stunning. I ended up seeing the film in IMAX 3-D – was it worth it? Eh, sure why not. There were a few scenes that stuck out in particular, though I’d say you won’t be missing out if you don’t end up seeing it in 3D. The star of the show for me was Michael Fassbender. Mind you, I may be a bit prejudiced – I’ve liked Fassbender for years – but he really shines in the role of the tricky android of the team. He NAILS it. He’s creepy yet helpful, and you can’t quite figure out where he falls on the spectrum of good guy/bad guy. For. The. Win. He’s marvelous, and I’m jealous yet gleeful that he continues to nab such juicy roles. 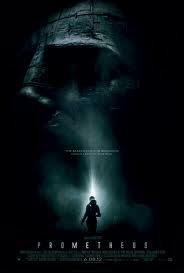 All in all, Prometheus is a suspenseful and enjoyable addition to the Alien franchise, provided you know what to expect going into it. You’ll get some answers, but you’ll also get more questions. Kudos for Scott for revitalizing the series in the way he did. I look forward to future films. I think.